Ripple Ecosystem (for newbies)steemCreated with Sketch. 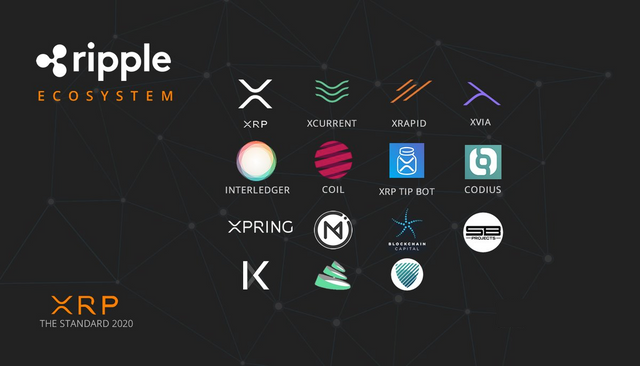 Ripple/XRP is one of my favorite coin, and that's not because it's more centralized than others, which i think it's not, but more the fact that goverments and banks will always be here, and XRP is definetely the one that can replace fiat in longer term. The more important is that the team behind is very professional and have a serious background. Ripple is becoming increasingly recognized, and has increasingly become more widely used by major financial institutions. In addition to recognizing their security and price, they are also known to be reliable and very useful networks between. The network connects banks, payment providers, exchange of digital assets and businesses. This allows them to provide one hassle-free service where it is possible to send money globally. Most people within the business agree that Ripple’s value can go up to the $200-$300 range in ten years. I personally aiming for $25 before 2020. Click here to read everything about Ripple ecosystem and to understand Ripple’s place in the crypto universe. I don’t think it will be better, but i believe in Stellar will be huge as well. Nice post on cryto currency. I believe ripple will do very well in the cryptocurrency sphere. It has already overtaken Ethereum several times, and I'm certain that would soon happen again and this time might become permanent. Your UA account score is currently 4.607 which ranks you at #1692 across all Steem accounts. Your rank has improved 1 places in the last three days (old rank 1693). In our last Algorithmic Curation Round, consisting of 235 contributions, your post is ranked at #119. Thank you very much for your explanation about ripple eco system.